My daughter is getting married next year. We have family business and my daughter works in the business. Is a premarital agreement appropriate for her, even though she is only 25? When should she bring this up with her fiancé? Boy meets girl. They fall in love. Before you know it, he’s down on one knee with an expensive diamond ring in his hand. With Valentines Day quickly approaching, it is a scene that is sure to play out all across the Triad. But what happens when the relationship ends before the wedding bells have even had a chance to ring? When instead of meeting with a wedding planner, the couple is turning to a family law attorney for advice? As difficult as a broken engagement can be on a couple, the heartache and hard feelings only grow more intense when the formerly-engaged couple cannot agree on who should keep that shiny souvenir of the marriage that was never meant to be. 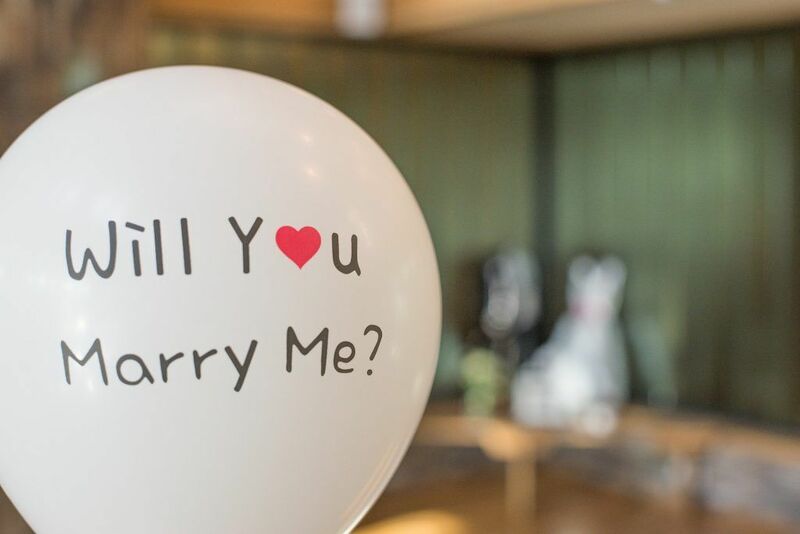 When the plan changes from walking down the aisle to walking away, there is still that lingering question that must be answered – who gets to keep the engagement ring? Under the early common law, Courts allowed these jilted fiancés to recover monetary damages when the wedding was called off under a claim of breach of promise to marry. Though the legal system seems to have realized that you can’t put a price tag on a broken heart and distanced itself from these types of claims, the question of the engagement ring is still a remarkably common dispute facing the courts today. 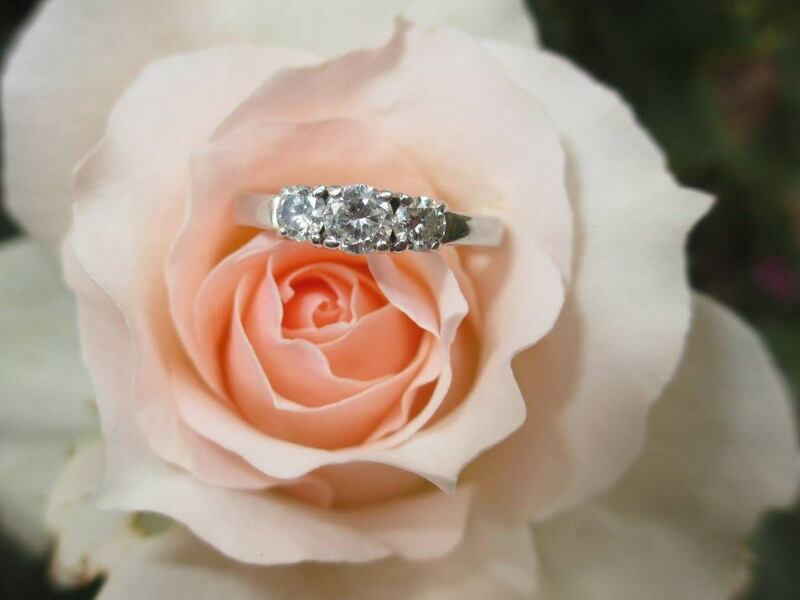 Should the person who initially purchased the ring be entitled to its return? If it was given as a gift, should the recipient be allowed to keep it? The majority of courts have held that the answer to those questions comes down to the intention of the giver. The previous two posts on premarital agreements have addressed future spouses who are considering signing a premarital agreement. The final two posts in this series will address the future spouses’ parents. In particular, this post is directed at parents who have worked hard enough, and been fortunate enough, to accumulate significant property. You desire, naturally enough, to leave that property to your children. But you do not want that property to pass to your children’s spouses. How can this goal be accomplished? Understand initially that you may not need any special measures. When a marriage ends in divorce, most states give special treatment to property acquired by gift or inheritance. In North Carolina, gifts and inheritances are defined as separate property that the court lacks the power to divide. N.C. Gen. Stat. (“G.S.”) § 50-20. Separate property includes not only the initial amount of the gift or inheritance, but also any future “passive appreciation” in that gift or inheritance—growth caused by market forces, and not by the funds or efforts of your children after they are married. For example, assume you have investment stock, bonds, or a bank account. If by gift or devise, you transfer this property to your children, the property transferred will be separate property. Any future passive appreciation in the gift or devise will be separate property also. Upon divorce, your child’s spouse will not have any claim to separate property. A premarital agreement, of course, requires the consent of both future spouses. Sometimes future spouses will disagree about whether to sign a premarital agreement. The last post in this series considered this situation by addressing the spouse who wants an agreement. This post will consider the situation by addressing the spouse who does not want the agreement. Understand initially that this is very serious issue that will affect your life forever. The decisions you make regarding this agreement will play a very important role, possibly even a critical role, in determining your financial future. Many future spouses, especially women, when confronted with a strong request for a premarital agreement, have swallowed their reservations and signed it. Years later they discover that the effect of the agreement is to allow their spouse to leave the marriage at any time, leaving them with no property and no spousal support. Few decisions have been regretted as intensely as the decision to sign a substantively unfair premarital agreement. You should also recognize that decisions regarding this agreement are too important to be made without assistance. You need to know what your rights would be without the agreement. You need to know the value of your future spouse’s property. You need to know what the agreement says. Do not lightly assume you know that; a trained lawyer can include provisions that seem meaningful, but are actually worth nothing. An agreement to agree, for example, is not legally enforceable. You need the advice of an attorney to guide you in making decisions about the agreement. The first few posts in this series discussed when prospective spouses should sign a premarital agreement. Simply stated, a premarital agreement should be signed when both parties want to apply different rules to divide their property and award support after the marriage than the law would otherwise provide. In a perfect world, all prospective spouses would agree on this issue. But the world being the imperfect place that it is, prospective spouses sometimes disagree. This post will address options available to the spouse who wants an agreement when the other spouse refuses to sign one. There is an obvious starting point here: Do not attempt to coerce the other spouse into signing the agreement. We have seen that the single most important factor in determining the validity of the agreement is whether it is procedurally fair. A coerced agreement is not procedurally fair. Don’t use improper threats to force your prospective spouse to sign an agreement. You can, of course, tell your prospective spouse that you will not marry him or her without an agreement. You are not required to marry anyone, so threatening to call off the marriage is not an improper threat. Previous posts regarding prenuptial agreements have discussed the validity of premarital agreements in very general terms, focusing on the broad concepts of procedural and substantive unfairness. Procedural unfairness creates a very real risk that the agreement might not be enforced. Substantive unfairness is not so important, but it can create risk when the unfairness is extreme, or when the procedural fairness of the agreement is a close question. This post will take a look specifically at the law of North Carolina. Twenty-seven states, including North Carolina, have enacted the Uniform Premarital Agreement Act (“UPAA”), a draft statute written by the Uniform Law Commission to standardize the law of premarital agreements. The key statute governing the validity of premarital agreements is N.C. Gen. Stat. (“G.S.”) § 52B-7. Under that statute, there are two distinct grounds upon which a premarital agreement can be successfully attacked. The first ground provides that the agreement is invalid if the party attacking the agreement “did not execute the agreement voluntarily.” Id. § 52B-7(a)(1). There is no statutory definition of involuntariness; the issue is left entirely to the courts. This ground is where the procedural fairness of the agreement becomes critical. If procedural unfairness reaches critical mass, the agreement will be deemed involuntary and the court will not enforce it. The fourth post in this series discusses procedural unfairness in more depth. The second ground is more complex. It requires, to begin with, that the agreement be unconscionable. Unconscionable means, in effect, extremely unfair. One can see, again, the critical importance of procedural and substantive fairness in determining the enforceability of the agreement. Previously, we highlighted the risks of asking a future spouse to sign a substantively unfair agreement. These risks are not triggered merely because the terms of the agreement are not exactly equal. Rather, substantive unfairness is present only when the agreement passes some minimum threshold of inequality. So how far can an agreement go, in terms of creating inequality between the parties, before it is substantively unfair? There are no fixed rules, but a few guideposts exist. 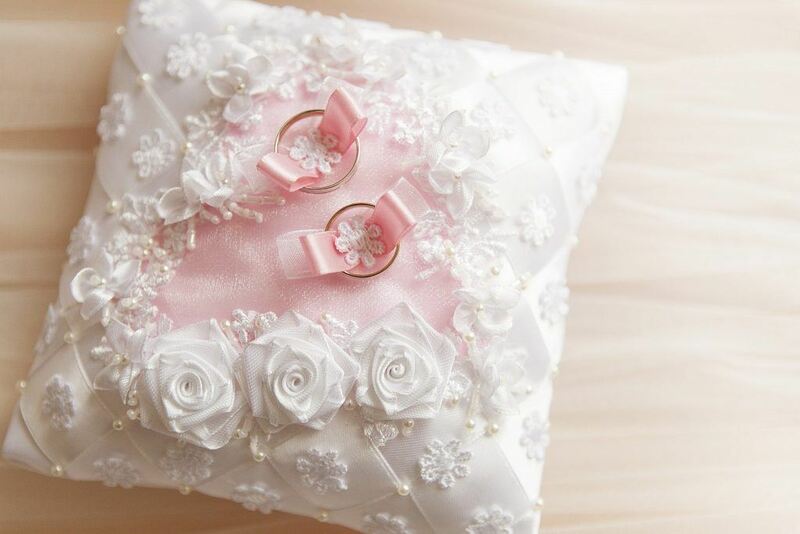 First, it is generally proper to exclude from division gifts, inheritances, and property acquired before the marriage. As the second post in this series noted, this property would not be divided even without an agreement. It is a closer question whether an agreement becomes unfair if it prevents appreciation in these assets from being divided. The result is clearly permissible where the appreciation did not result from marital efforts. Where the appreciation did result from marital efforts, the exclusion is somewhat unfair. But if other property is subject to division, provisions excluding all appreciation in separate property from division are usually enforceable. Our last premarital agreement post discussed the fairness of the procedures used when a premarital agreement was signed. This post will discuss the substantive fairness of the agreement itself. As noted previously, courts give considerably more attention to procedural fairness than to substantive unfairness. As long as fair procedures are used, the courts are willing to enforce agreements that contain considerable substantive disparity. In particular, agreements that waive the parties’ interests in substantial property, or that waive alimony completely, are often enforced in the courts, so long as they were signed freely and voluntarily. But substantive fairness still has a role to play when the court reviews an agreement. To begin with, extreme substantive disparity can be a problem in itself. For example, if the agreement is so disparate that it leaves one spouse on public assistance, the court may not fully enforce the agreement. If the court must choose between having one spouse supported by the other and having one spouse supported by the public, it is likely to choose the former. In addition, substantive disparity can be relevant even where it is not extreme. The courts face many cases in which it is a close question whether an agreement was fair procedurally. For example, there may be a situation where one spouse’s knowledge of the other’s assets was incomplete, or borderline pressure tactics were used, or where there is reason to doubt whether a spouse truly had a fair opportunity to obtain counsel. In these close cases, the court is more likely to enforce an agreement if the agreement is substantively fair. Previously, we have discussed judicial attitudes toward premarital agreements. In short, premarital agreements are favored by modern law, but only when they were signed using procedures that the court sees as fair. How do the courts define a fair procedure? Three factors are important. First, the parties must sign voluntarily and not under unreasonable pressure. To take an extreme example, a premarital agreement signed under a threat of physical violence would certainly be invalid for duress. Other improper acts include threats to falsely accuse a spouse of a crime or to interfere with a spouse’s immigration status. Threats make an agreement procedurally unfair only if the threats are improper. One recurring issue has been whether the agreement is procedurally unfair if one spouse threatens not to marry the other unless an agreement is signed. But no one is required to marry anyone. A threat to cancel an engagement unless a premarital agreement is signed is therefore generally not viewed as wrongful. Second, while the parties must be free to make a voluntary decision whether to sign the agreement, the power to make a voluntary decision does not mean much if a spouse lacks access to relevant information. In particular, since almost all premarital agreements require the parties to give up rights in one another’s property, it is essential that each party have a reasonably accurate understanding of how much property the other owns. It is not absolutely necessary that the couple engage in financial disclosure. Actual knowledge of the other spouse’s assets, from any source, is sufficient to avoid procedural unfairness. But disputes over knowledge tend to turn into “he said, she said” issues over who knew what, and judges will sometimes find a lack of knowledge in these cases, especially if the agreement is substantively unfair. Previous posts regarding premarital agreements have discussed what a premarital agreement is, and why an engaged couple might want to sign one. Simply summarized, a premarital agreement is a good idea when both parties want to change the rules of law that would otherwise apply when their marriage terminates upon divorce or death. Assuming that the parties agree to sign a premarital agreement, is a premarital agreement likely to be enforced by the courts? There is no single answer to this question, because there are many different types of agreements and many different procedures that can be used to sign one. 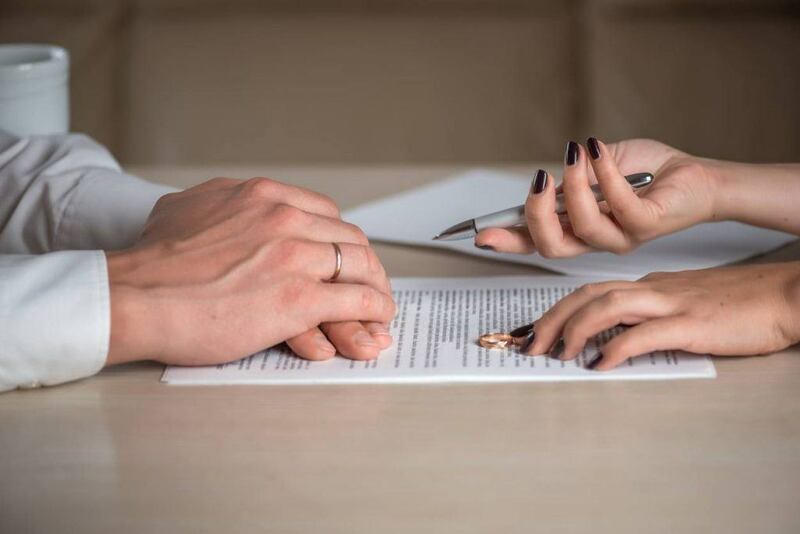 Before discussing premarital agreements further, it is useful to consider these agreements briefly from the viewpoint of a judge who is asked to decide these issues in a divorce or probate case. Most trial judges have very busy dockets, and they are grateful for anything that reduces their workload. Premarital agreements resolve issues that would otherwise have to be decided by judges. Judges also often note that an agreement between the parties usually resolves an issue better than the judge could, as the parties themselves are more familiar with their situation and their financial lives than a judge could ever be. Most judges therefore like premarital agreements, and tend to enforce them as they are written.